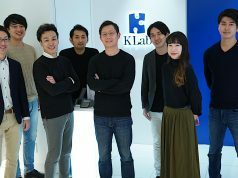 Vasily, a Tokyo-based startup which runs online fashion coordination service iQON, announced today that it has fundraised a total of 300 million yen (approximately $3.2 million) from Globis Capital Partners, Itochu Technologuy Ventures, and GMO Venture Partners. 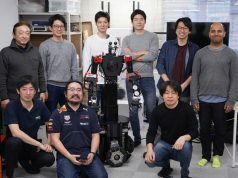 This is the second round of funds following the previous series A funding of 140 million yen ($1.5 million) in May of 2011. The iQON service allows you to combine clothing and accessories online and share fashion coordination ideas with other users. Each item has a direct link to fashion e-commerce sites where you can purchase it, and the startup will generate revenue from partner sites using an affiliate model. More than 300,000 coordinated outfits have been registered since the service launched in April of 2010, and users are bookmarking their favorites more than a million times a month. The startup introduced its iOS app last February (and an Android app is now also available) which really took off. 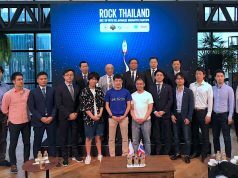 It even helped some of their partnering e-commerce sites make more than 20 million yen monthly sales through the affiliate traffic. The company focused on service development in the series A phase, but will be intensifying branding and marketing efforts from now on. When discussing fashion e-commerce sites in Japan, we can’t help but mention Zozotown (listed on the Tokyo Mothers exchange since 2007). The site is a partner for Vasily rather than a competitor because the two companies have different business models and won’t compete and/or conflict. Vasily’s CEO, Yuki Kanayama, says they will keep working closely with their good partner Zozotown in the future.